← Latest cartoon. Using our new found “locked up forests”. The climate is receiving political attention once more, as are Labor’s Carbon Tax and the Governments Direct Action Plan. Spin is coming from both sides of politics as each promote their preference. I did this cartoon over 2 years ago. I feel it is still very relevant, not just in Australia, but in all parts of the world where politicians are involved in debate over the causes of climate change. 12th Aug 2011. Where pollution comes from. 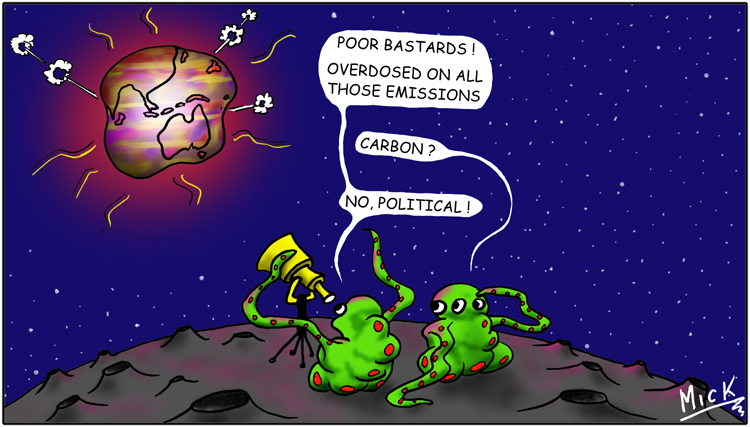 Posted on March 14, 2014, in Cartoon, illustration, humour, humor, caricature, political, art, Australia, Perth, cartoonist, Illustrator and tagged Australia, Cartoon, climate change, environment, Government, Governments Direct Action Plan, humor, humour, Perth, Politicians, pollution. Bookmark the permalink. 6 Comments. Those emissions are closely related. Well put, Mick. Still so true… sadly. Thanks, Anita. Yep, one day common sense will over-rule corporate greed.